TUCSON, Ariz. — During an emotional luncheon here March 28, 150 members of the National Tour Association learned they are losing one leader and gaining another. 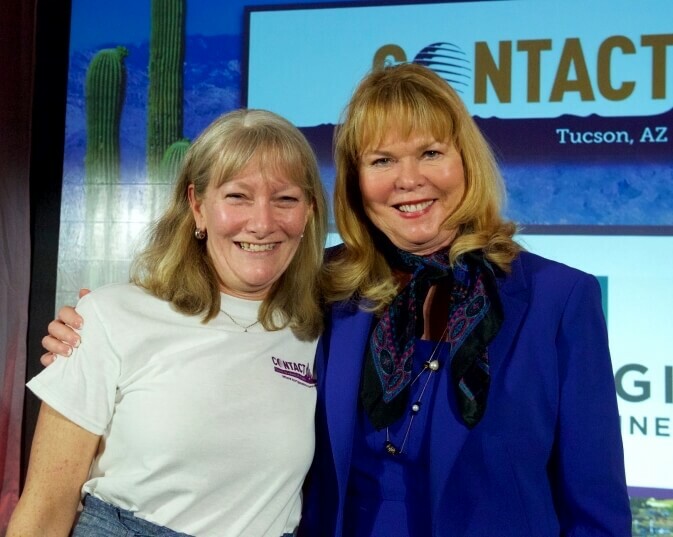 Tucson is the site of Contact, NTA’s annual tour operator retreat. Pam Inman, CTP, announced she will step down from her role as NTA president at the end of the year. “Beginning in January 2020, I am moving to something I’ve wanted to do for a long time: something entrepreneurial in this hospitality and tourism space where I’ve been working in since the early ’80s,” Inman said. Larsen detailed the timeline of events that led to his announcement. “Pam informed the board of her plans in November, and we established a transition task force to conduct the search for her replacement,” he said. When the NTA board met here Wednesday, the task force recommended Prather for the job, and the board voted unanimously to accept the recommendation. At yesterday’s luncheon, Larsen announced the appointment of Prather, who was in audience, and the crowd rose to its feet again, this time to applaud the new president. Inman, who became NTA president in 2014, listed several priorities that were realized during her tenure, including raising the association’s visibility and strengthening its key events and online presence. She also expressed deep appreciation for the NTA staff and its leaders—past and present. Larsen added that Prather, too, has the skill and experience to be a transformative leader. She has been with NTA for 25 years, serving as interim president in 2014. Founded in 1951, NTA is a global association of packaged-travel specialists who serve customers traveling to, from and within North America. For more about NTA and its members, go to NTAonline.com.